You need a proactive credit-building strategy. Many millennials have opted out of the American dream of owning a house and filling it with stuff they can’t afford. Perhaps you’ve decided that paying cash is a more responsible personal finance habit. You may have looked at the wasteful spending habits of your friends and decided not to tempt yourself with a credit card. Some friends have left university deeply in student loan and credit card debt, and decided to simply ignore it, hoping that it will be forgotten by the time they need to borrow money. Benefits: Many credit cards reward you for using them – with sign-up bonuses, cash back, or travel points. They may also provide insurance on purchases, price matches, a concierge service, or many other perks. Emergency fund: In an emergency, credit cards offer immediate access to funds. Sometimes it’s better to go into debt than be unable to pay for urgent auto or medical expenses. Cash flow flexibility: Credit cards allow me to separate by outgoing and incoming flows. Though I pay off the balance every month, I only keep a bare minimum in my checking account. Because all my purchases go on a credit card, I can buy what I need without worrying whether I have to cash out my investments to pay for it. Your credit record is not a single number, as competing scores and versions of scores are used by different institutions. Furthermore, banks will combine your public credit record with proprietary information to derive a custom score used to make decisions. 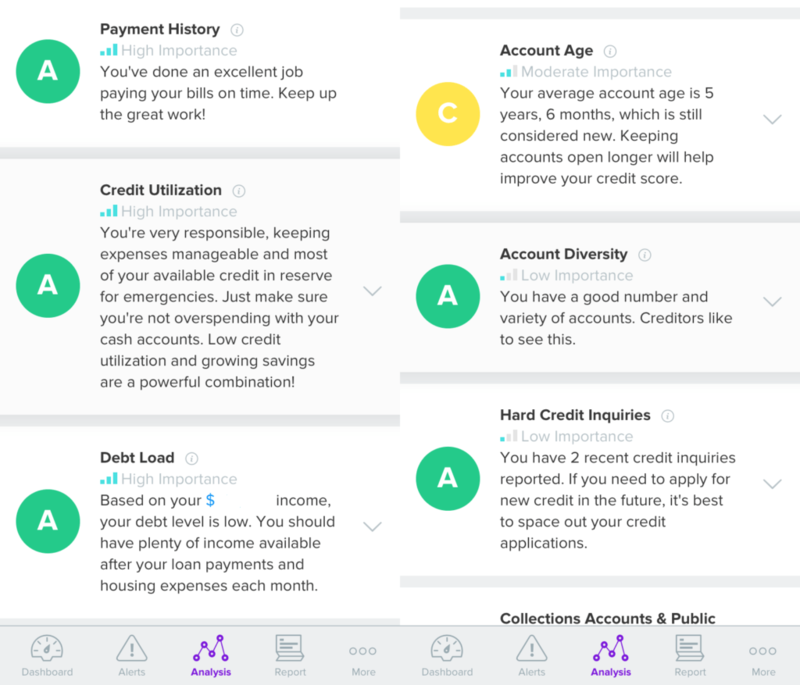 Building a good credit history focusses each category in your credit record: paying bills on time, building a diverse credit history, and growing your available credit. This is the most common bad advice you may have heard about credit. When lenders decide whether to give you credit, they don’t care how much money you made other banks. They only care whether you will cost them money – the chance that you will not repay your debts. To prove that you are a good credit risk, you just need a history of financial responsibility. A history of payments for mortgage, auto, or a student loan will improve your score, but it is not needed – I have an “excellent” credit score, and I’ve never paid interest for a debt. Once you have a positive credit record, you can apply for new cards and increase the credit limit on existing ones. Your credit utilization (the percentage of available credit that you’ve used) is a major factor in your credit score, so as long as you can use credit responsibly, increase it by occasionally applying for new cards and requesting increases. Cards with the best benefits typically require excellent credit, and it will take some time to build a suitable credit history. While I’ve heard advice suggesting a six-month wait between credit requests, in the last month, I asked for four credit increases this month, for up to 3X my previous credit limit, and was approved with only one hard credit pull.